Breads: Not So Secret Family Recipes Book 8 is a compilation of family recipes collected from five generations. The series is my effort to preserve and share these recipes so they don’t become lost. I have also included a bread baking tutorial in the front of the book to help novice bakers to overcome. The cookbooks in this series are also peppered with tidbits from the lives of the cooks who loved these recipes enough to save them. 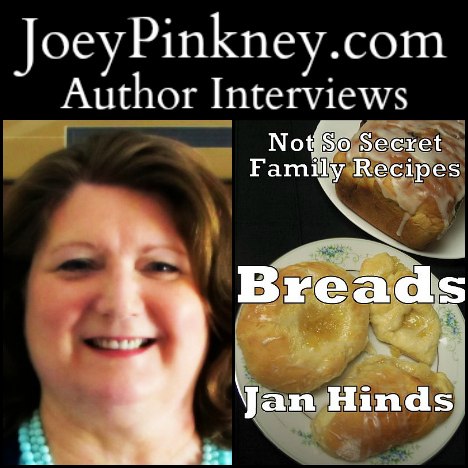 Joey Pinkney: Where did you get the inspiration to write “Breads (Not So Secret Family Recipes Book 8)”?